Discussing Fukuoka's startups with Agata Kapturkiewicz. Being included in academic research is a profound sign that the startups and surrounding ecosystem within Fukuoka have hit upon something significant. 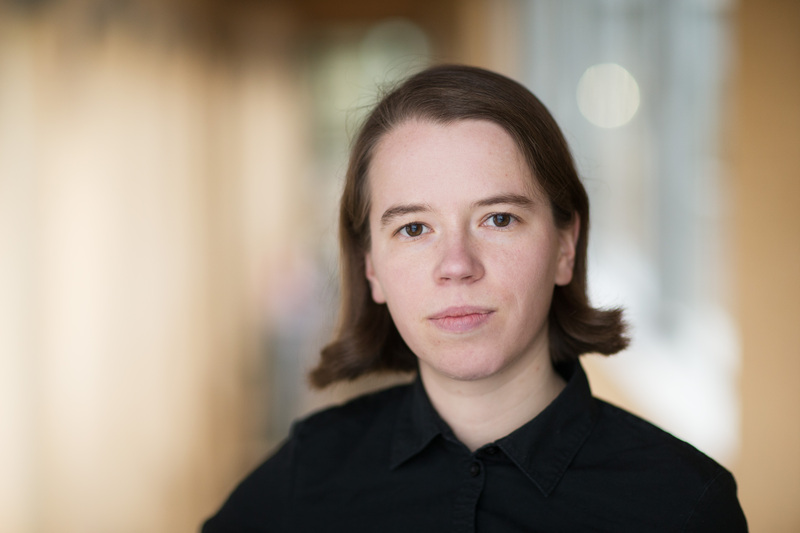 While she was in town collecting data, I interviewed Oxford researcher Agata Kapturkiewicz, to get her thoughts on Fukuoka's startup ecosystem. Research Goal: Comparative study based on cases in Japan and India – to learn about the processes of development of startup ecosystems in locations with different structural properties. Over the summer, I found out that Agata was coming to Fukuoka to learn more about our startup ecosystem as part of her Ph.D. research. We met in Startup Café to discuss how Fukuoka’s ecosystem functions from my perspective as well as delve into her early impressions of the current startup landscape in the city. Agata explained that she wanted to learn more about the actions that people and organizations take to stimulate growth within a startup ecosystem. As she heard Fukuoka’s startup ecosystem mentioned in a very positive way, she reached out to many of the mentors listed on the Startup City Fukuoka website to learn more about what role they play in this positive image. In addition, she met with several members of Fukuoka’s startups at Slush Tokyo, giving her direct ties to Fukuoka. When we began talking, one of the first things Agata mentioned was how compact the city is making it incredibly easy to get around. After spending months in Tokyo and getting used to longer commutes on the train, the fact that Fukuoka is so walkable was a refreshing change. She also noted that having startup hubs such as Fukuoka Growth Next right in the heart of the city and within close proximity to each other was a big bonus. Agata shared how responsive, and eager members of our ecosystem were to talk with her. Describing it as an openness, she experienced just how connected everyone in Fukuoka's startup ecosystem is, and how willing they were to make introductions. She also remarked on Growth Next's cool vibe, comparing it to some of the historic buildings in her native Krakow. One thing that stood out to me was Agata’s observation that other communities look to Fukuoka’s startup ecosystem for inspiration. She noted several examples, including her findings from the interview she conducted with Startup City Fukuoka mentor and associate professor at Kyushu University Masaki Kumano, who spearheads the Startup Club at Kyushu University. Learning that not only did Kumano-sensei only accept students who are serious about practicing entrepreneurship but also that delegations from other universities seek him out for advice on establishing similar clubs at their own schools. After her visit, Agata also shared some of her favorite parts of Fukuoka outside of the research she conducted. Aside from enjoying her accommodations, she found herself taking calm walks alongside the castles ruins’ moat every morning. She was enchanted to see the cranes standing on the path by the moat, seemingly unbothered by the people passing by them. As for her favorite part of Fukuoka, Agata enthusiastically answered, "Ohori Park." With its great views and spacious landscape, it is a beautiful spot within the city. She was able to read a book at sunset sitting among the pine trees and relax on the weekends during her visit. In addition to loving Ohori Park, Agata mentioned how delicious Fukuoka’s food is – especially the tempura and Hakata ramen. When I checked back with her this month, Agata reflected that Fukuoka stands out from other locations in Japan in strategically branding itself as a ‘startup city,’ and in playing on structural strengths of the location – such as the compact size of the city and the tight and interconnected community. She shared that the interviews she conducted highlighted active efforts of various groups in the ecosystem to connect with each other and to build the ecosystem together, which includes a proactive approach to welcome foreign entrepreneurs. While Agata’s research is still active and ongoing, it will be interesting to learn her findings as they develop.